In the stressful and unpredictable world of law enforcement, police officers and detectives often turn to the Internet as a medium to tell their stories and inform others. 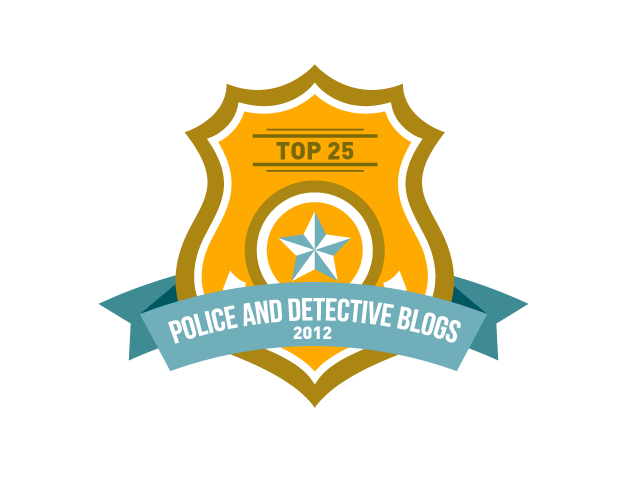 Here are our picks for the 25 best police and detective blogs active in the last year based on quality and frequency of posts. 1. 24×7 – Canadian patrol officer Jim Ingram updates his blog weekly with stories from the road in Delta, British Columbia. Ingram’s blog breaks down into two sections: his Shift Diary, which consists of short updates on his experiences as a cop, and a selection of longer editorials. His writing style is clear, to the point and informative. Where to begin: Read about Ingram’s respect for his profession and his comrades in Thin blue line. 2. 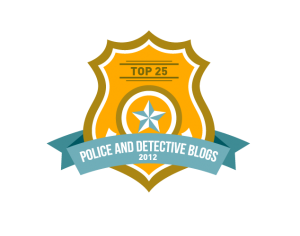 Bad Luck Detective As someone who entered law enforcement late in life, Detective Suzie Ivy brings a unique perspective to the virtual pages of her blog. Her posts are long, detailed and always readable, and as evidenced by the site’s title, she tends to not take herself terribly seriously. The Bad Luck Detective is the rare blog that manages to be entertaining and informative. Where to begin: Santa Wears Both puts a holiday twist on an otherwise typical day in a police detective’s life. 3. Behind the Blue Line Constable Sandra Glendinning is a veteran police dog handler in Vancouver. The author’s love of dogs really comes to the fore in every post, as does her commitment to law enforcement and her desire to educate readers about the real life of a police officer. Her narrative style and clear writing may her posts easy to read. Where to begin: Our Last Week in Operations is a heartfelt story about the author’s final days with a police dog. 4. The Boogie Man Is My Friend – This entertaining blog comes from the perspective of a former police officer and focuses on the less serious aspects of her career. The author recalls plenty of uncensored conversations from her time in uniform and manages to weave in some insight within the comedy. Where to begin: Take a look at Double Negative for an introduction to the author’s candid style. 5. Brian Cain Online – Police sergeant and chaplain Brian Cain blogs about leadership in law enforcement along with life in general. His style is generally upbeat, always informative, engaging and conversational. In addition to writing about law enforcement and his home and family, Cain often recommends books and other resources to his readers. Where to begin: The first entry in a four-part book review, Clean discusses some of Cain’s personal struggles and the challenges presented by his job. 6.Cop in the Hood – Former police officer Peter Moskos, now an associate professor at John Jay College of Criminal Justice, updates this blog with tales from his time as a Baltimore cop mixed with current events in the world of criminal justice. Moskos’ unique combination of firsthand experience and advanced education make his blog a must-read, and the comments are nearly as insightful as the posts. Where to begin: Understanding the NRA World View is a great introdution to Moskos’ deep insight. 7. Cop Talk – Jim and Brent Lambert and Brent Burzycki are law officers in California’s Bay Area; they use this website to answer readers’ questions about police, fire and medical emergencies. Cop Talk includes information on identity theft, security systems, Internet security, natural disasters, current events, general safety tips and more, plus a special “Ask a Cop” section that responds to readers’ questions. Where to begin: Craigslist – Love it or Fear it? takes a look at one of the most potentially dangerous sites out there. 8. Cop Thoughts – The title more or less says it all: This blog is an inside look at the mind of a police officer. The author talks frankly about his interactions with lawbreakers, and each post is written as if speaking directly to the reader. Cop Thoughts is candid, pulls no punches and offers a thoroughly engaging reading experience. Where to begin: Ration gives readers a candid depiction of the author’s thoughts on “victims” who are anything but. 9. Covered Law Enforcement – Tennessee police officer Jonathan Parker blogs about his life as a cop and his Christian ministry to fellow law officers. There’s plenty of Bible in his posts, and he’s unafraid to talk about his sometimes controversial political views, but even when his writing has nothing to do with law enforcement per se, everything on this blog comes from an officer’s perspective. Where to begin: A Police Officer’s Final Judgment discusses the often difficult issue of morality in law enforcement. 10. Crime File News – Written by a former Chicago detective, this blog certainly doesn’t lack for interesting and sometimes controversial content. The author is unafraid to share his strong political views and blogs on current topics in law, crime and violence. Posts are unfailingly well-written, clear, readable and filled with pertinent information. Where to begin: For a candid look at the author’s opinionated, well-reasoned arguments, try For Violence in America, There is no Cure, Only Treatment. 11. The Director’s Desk – Formerly known as the Chief’s Corner, this blog belongs to Tom Casady, public safety director and former police chief in Lincoln, Nebraska. Casady updates the site every few days with current events in Lincoln, news from around the world of law enforcement and thoughts on technology, resources and equipment. The author brings extensive experience to the table, and every post is informative. Where to begin: Not that way everywhere takes a candid look at the role of information technology in law enforcement. 12. Duke’s Daily Blotter – Earl ‘Duke’ Filskov updates this blog daily with law enforcement news from all over the United States. The Daily Blotter brings together news articles from a broad range of contributors, including journalists and official press releases, complete with Duke’s brief, often biting remarks on the content. Where to begin: Duke’s Around the Water Cooler segments round up quick responses to reader questions with a little added commentary. 13. I aim to misbehave – The author of this blog is a police officer, husband, father, student, gamer and more, and he writes about every aspect of his life. His posts range from quick updates to lengthy editorials, all told from a unique, introspective viewpoint that really engages the reader. 14. Improving Police – David Couper, a retired police chief and ordained pastor, brings decades of experience and advanced education to this detailed and well-written blog. Chief Couper writes weekly about politics, ethics, leadership and other topics from the perspective of a veteran law officer; his posts are lengthy and full of relevant information and sound reasoning. Where to begin: Couper explores the delicate problem of balancing law and morals in Just Because We Can, Should We? 15. MotorCop – This highly entertaining blog is filled with stories told by a California motorcycle cop. MotorCop is an always exciting and occasionally hilarious look at law enforcement from a none-too-serious perspective, and it also includes information on current events, links to good causes and the occasional rambling on non-law enforcement topics. 16. Officer Smith – Written from the perspective of a California peace officer, this blog is full of personal views, anecdotes and commentary on current political issues. Smith is occasionally long-winded, but it’s always worth reading through his posts thanks to his engaging writing style, clear message and willingness to speak his mind. 17. Police Inspector Blog – Maintained by “Inspector Gadget,” a veteran law officer in Ruralshire, England, this blog focuses on media reviews, law enforcement news from around the world, political commentary and thoughts on the daily grind of working as an inspector. As one of Britain’s most popular blogs, this site draws hundred of comments on every post. Where to begin: Inspector Gadget tackles the often difficult relationship between politics and law enforcement in Is it just me, or are the police getting older? 18. Raindogblue – One of the most unique law enforcement sites around, Raindogblue’s posts are as much art as they are prose. Current events mix with poetic thoughts on days and nights in the life of a police officer, giving this blog a fresh and interesting perspective on the challenges of working in law enforcement. Where to begin: Robbery tells the story of a criminal with a unique background, giving readers a look at the hidden complexity of a police officer’s work. 19. Riding in the Squad with Christ – This blog explores police, faith and life with just a bit of humor thrown in for good measure. Posts run the gamut from lengthy editorials to short updates, complete with links to videos and helpful illustrations. Where to begin: Read To account for… life and death at a traffic stop for an introduction to the author’s insightful, introspective approach. 20. Second City Cop – This whimsical blog comes from the perspective of a veteran Windy City police officer. SCC is updated very frequently with current events in Chicago, thoughts on ethics in law enforcement and responses to reader feedback. One of the best features is an eight-part series on problems facing modern police departments and possible solutions. Where to begin: For a look at SCC’s willingness to criticize political leaders, see Sequence is Important. 21. Sgt Says – A reserve police officer and training sergeant from an agency in California shares his thoughts on current events, officer safety, training, firearms and more. With new posts every day, readers can keep coming back to this blog for the latest in law enforcement news. Every post is readable and to the point, and the author makes his viewpoint clear without sounding arrogant. Where to begin: Get a taste of the author’s technical aptitude for police work in Transition. 22. Suddenly Cop Wife – This blog describes the life of a woman who finds herself unexpectedly thrust into the role of an officer’s wife. The author’s conversational style and candid writing make her blog highly engaging, and she draws from both current events and anecdotes from her husband’s time on patrol to entertain and inform her readers. Where to begin: Weaving together popular culture and a true story, Horror Show is some of this blogger’s best work. 23. The Things Worth Believing In – On this blog, a veteran police officer discusses the technical aspects of police work, including choosing equipment, carrying out searches and using weapons effectively. The blog features a series of posts called Tactical Preschool with more than 60 lessons on common police tactics, plus commentary on relevant political issues and links to informative resources and videos. Where to begin: The author offers his thoughts on a very timely issue in Where to start with school security. 24. Think Different – Commander Kristen Ziman of the Aurora Police Department in Illinois updates this blog with personal stories and commentary on current news and events in law enforcement. Think Different is only updated biweekly, but her posts are always long, detailed and easy to read. Ziman’s rare combination of extensive experience and writing aptitude makes her blog truly outstanding. Where to begin: Read Random Acts of Altruism for an insightful and uplifting story on real kindness among police officers. 25. Tired Dispatcher – Here, an experienced and often exhausted 911 dispatcher shares stories from her side of law enforcement. Posts are somewhat sporadic, but everything on this blog is engaging, entertaining and highly readable. Where to begin: For a highly personal look at a frightening incident, read Occupied Residential Burglary.